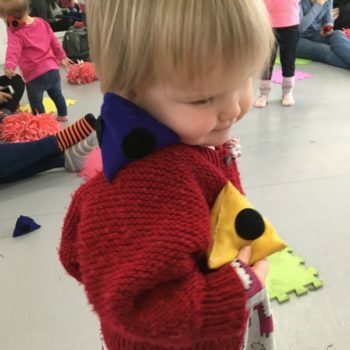 As a keen lover of song and dance, Shake Rattle and Boogie felt like the perfect class for myself and my mini Mumbler. Kimberley, who runs the show, travels around many different venues in North Leeds. We opted for the Adel session that runs on Tuesday Mornings at Studio Sixteen. As we made our way to the upstairs studio, we were warmly greeted by Kimberley, and the room was displayed with seat squares and pom poms dotted around in a circular shape with Kimberley’s stage set to the front. We quickly found our spot on a blue square and waited in excitement for the class to begin. 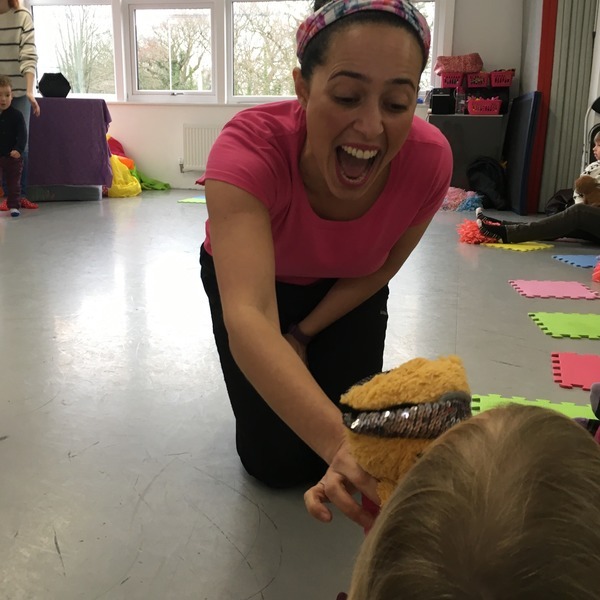 Each class begins with saying ‘Hello to Boogie Bear’; Kimberley went around the class with her very own mini mascot greeting all the children with either a hug, tickle or kiss. The session then quickly moved onto the Boogie Star’s Warm Up; getting everyone’s juices flowing, as we all reached up high, touched the ground, clapped our hands, and turned around! 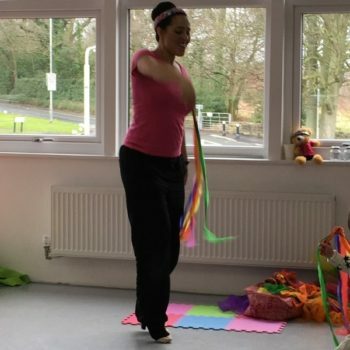 The rest of the class followed a series of classic and contemporary nursery rhymes, where the children were taught some basic actions alongside different props; we danced to Sleeping Bunnies with scarves, balanced bean bags for Baby Shark, strummed xylophones and popped bubbles with Tiny Tim, and rung our jingles bells to Horsey, Horsey. Halfway through the session, Kimberley brought out her Boogie Box; where there is something different inside each week to add a little intrigue and point of difference to the term’s repetitive structure. 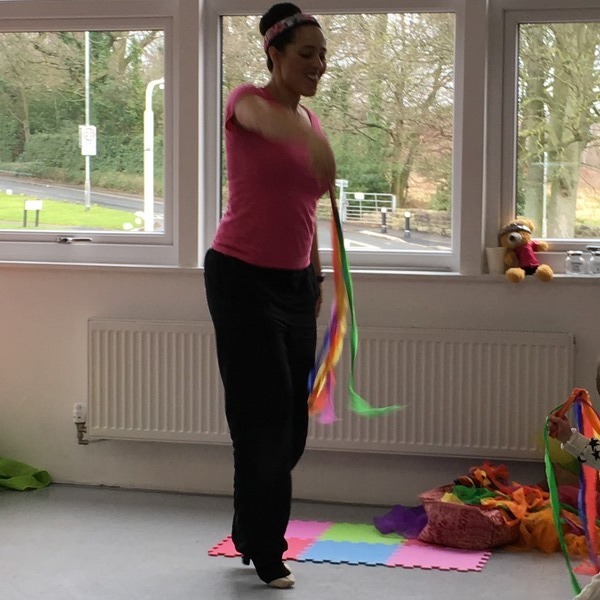 This week it was rainbow ribbons which accommodated the song ‘I can sing a Rainbow’. The class then finished off with the giant and brightly coloured Boogie Blanket. 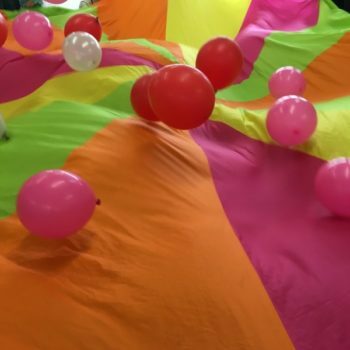 Everyone started with big waves up and down, allowing the children to run around underneath; then the waves got lower and balloons were bounced on top; and finally, it was placed on the ground for the little ones to run around with the balloons and bubble machine in full swing. Boogie Bear made one final appearance too! These classes are the perfect choice for anyone who loves music, enjoys a good prop, and most importantly, loves to dance! 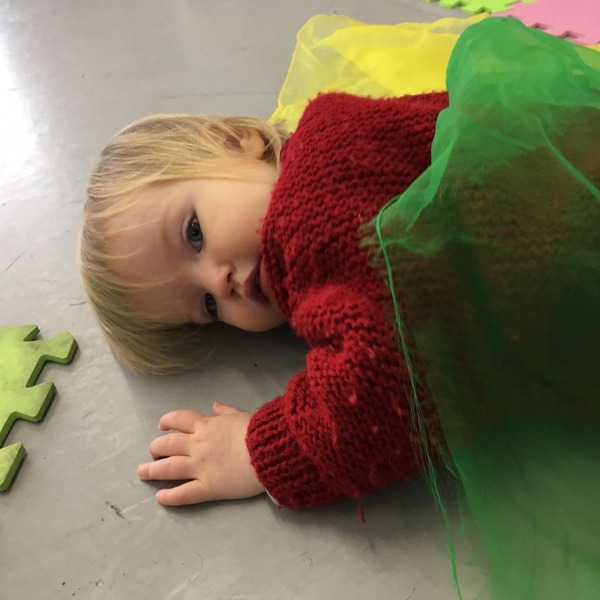 Each term has an element of repetition so the children become familiar with the songs and the props; encouraging familiarity and allowing them to gain in confidence as the term progresses. It also helps develop gross motor skills, as well as improve language. Kimberley is so full of energy, you feel totally exhausted by the end, just watching her. It is quite a workout, not just for the little ones but for parents and grandparents too, should you choose to get involved. 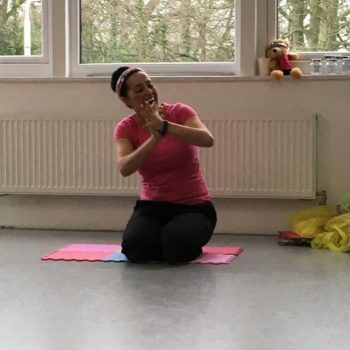 It really is a fun and uplifting class, and Emily enjoyed every second of it! Shake, Rattle and Boogie is open to children from 0-5 years but are tailored more specifically towards children ages 1-3. Emily was the perfect age as she can easily run around, and is already following instruction. She is also a great helper at tidying up the props after every song. 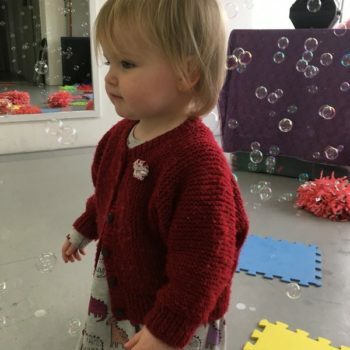 Classes cost £5.50 for a single session; £8.50 for siblings (2 children). A full term costs £60; £90 for siblings (2 children) – based on a 12-week term. 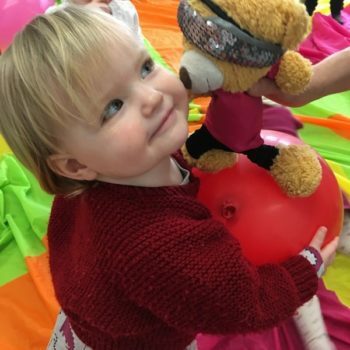 Shake, Rattle and Boogie also provide party packages from £80 which can be customised to suit your child’s favourite songs, theme, or even favourite book. *Mumbler was not paid for this review. All of the comments in this review are our open and honest opinion. Details correct at time of publishing February 2019.